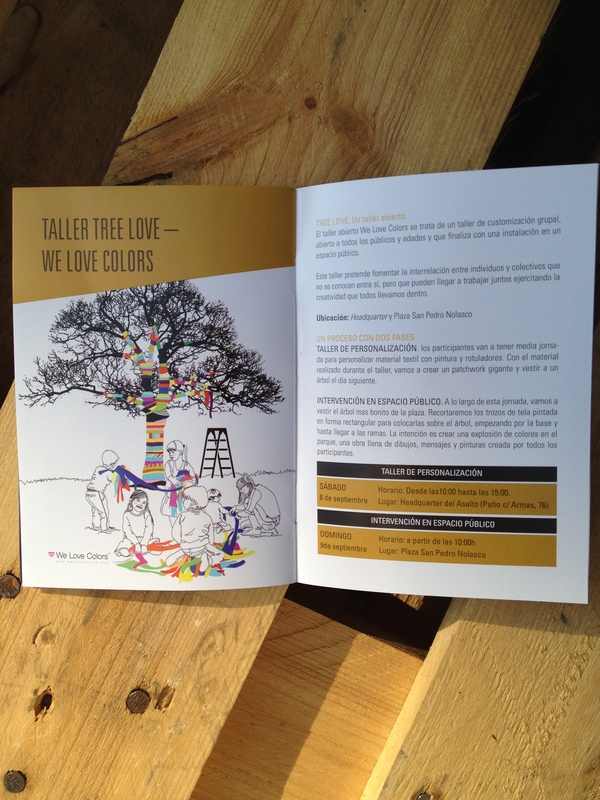 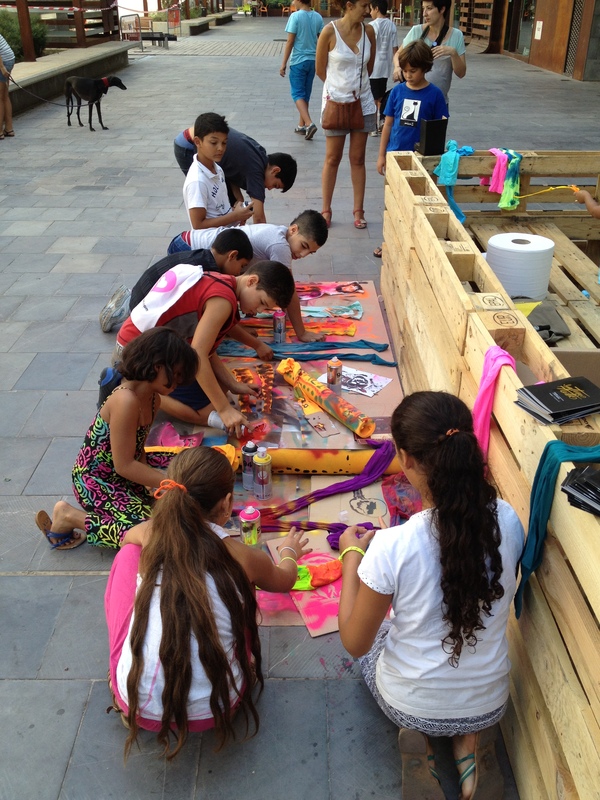 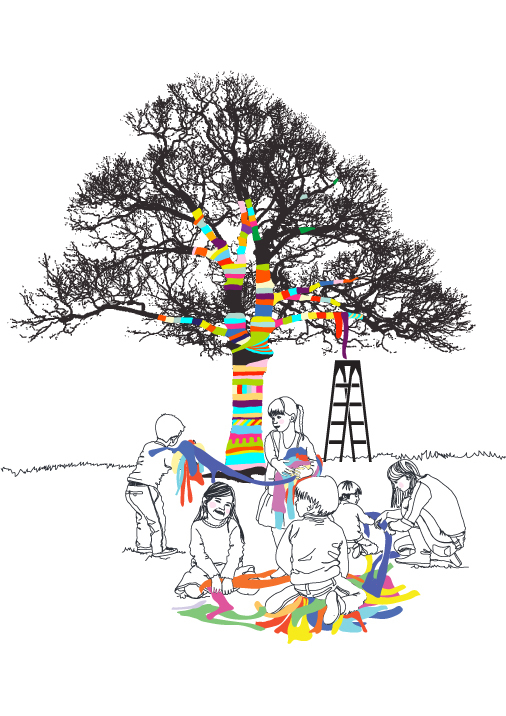 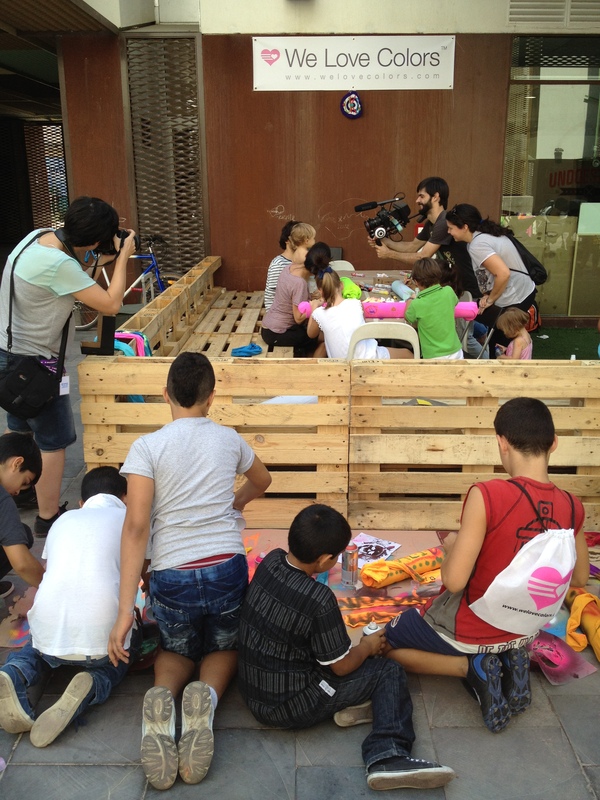 “TreeLove” is a Workshop + Art Installation We Love Colors developed in ASALTO International Urban Art Festival, Zaragoza, Spain. 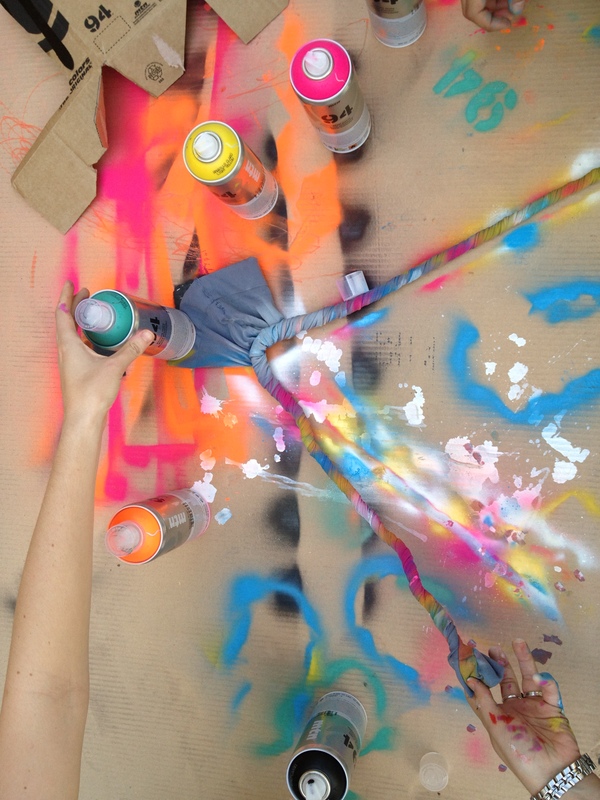 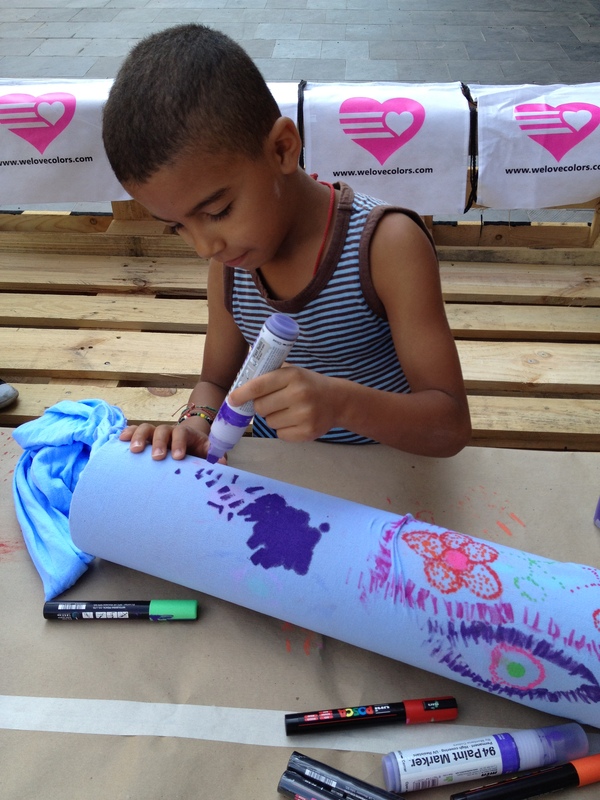 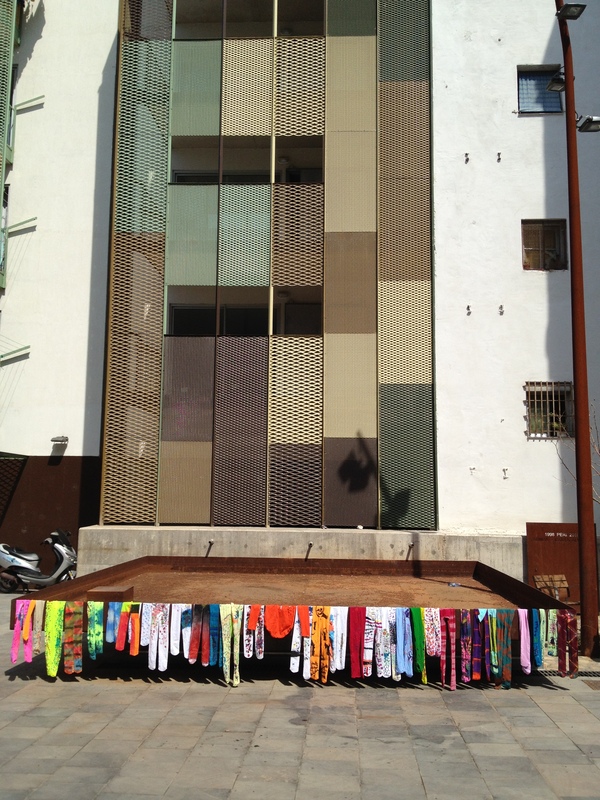 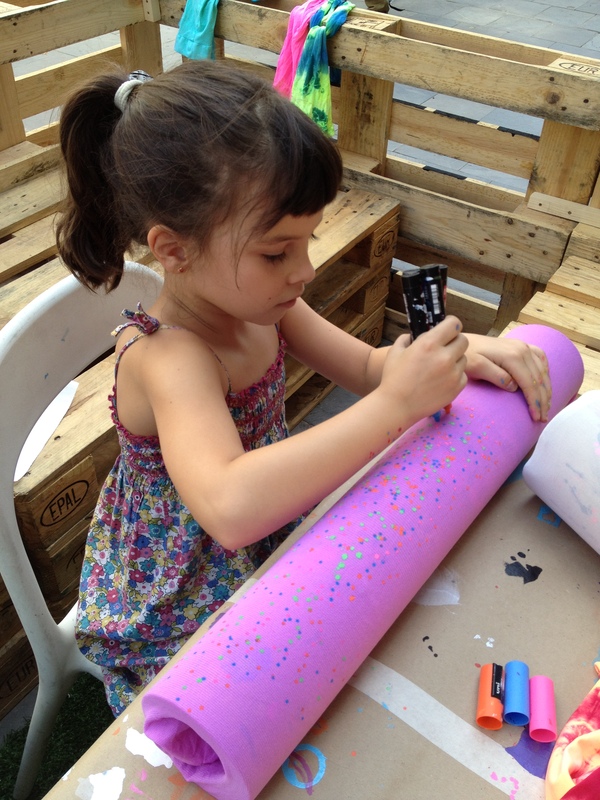 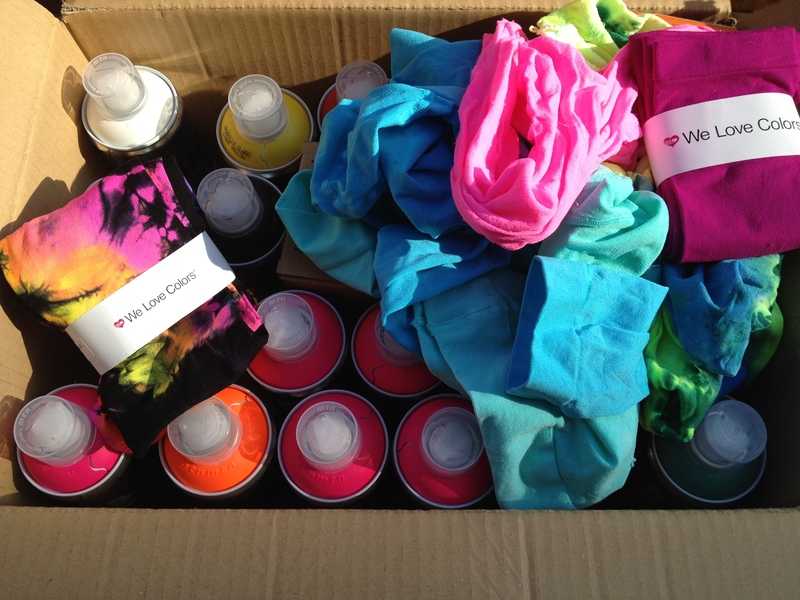 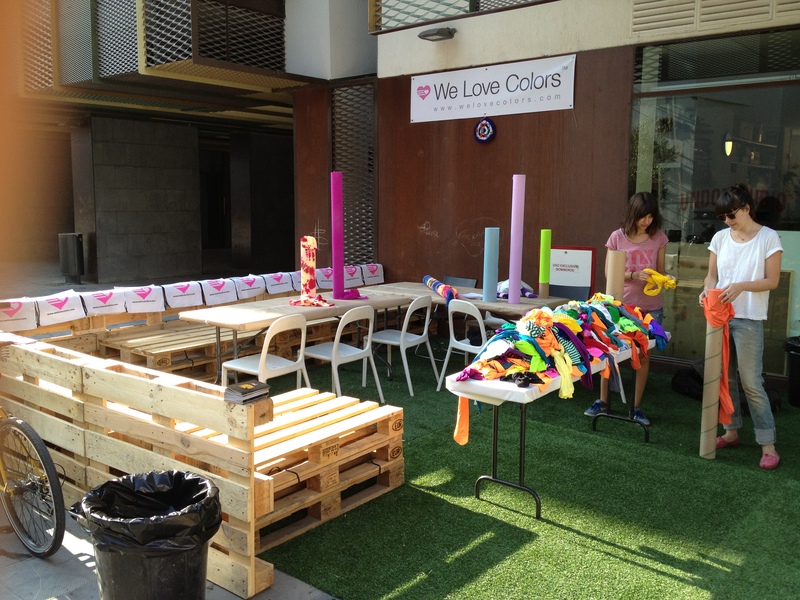 On Saturday 8th of September, we customized tones of tights with sprays, markers and stencils. 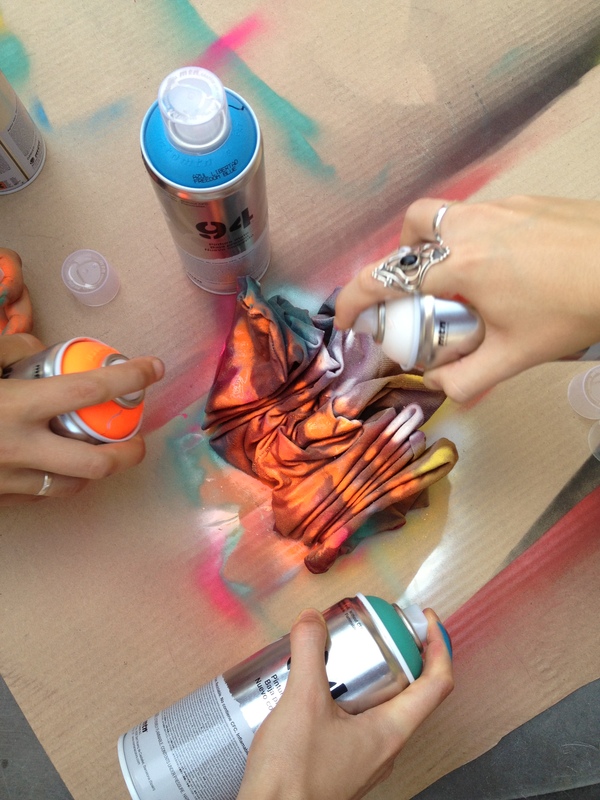 This open Workshop was super successful and lots of fun. 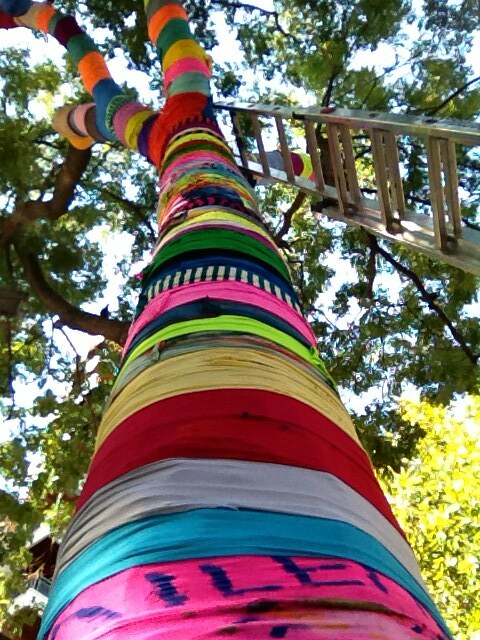 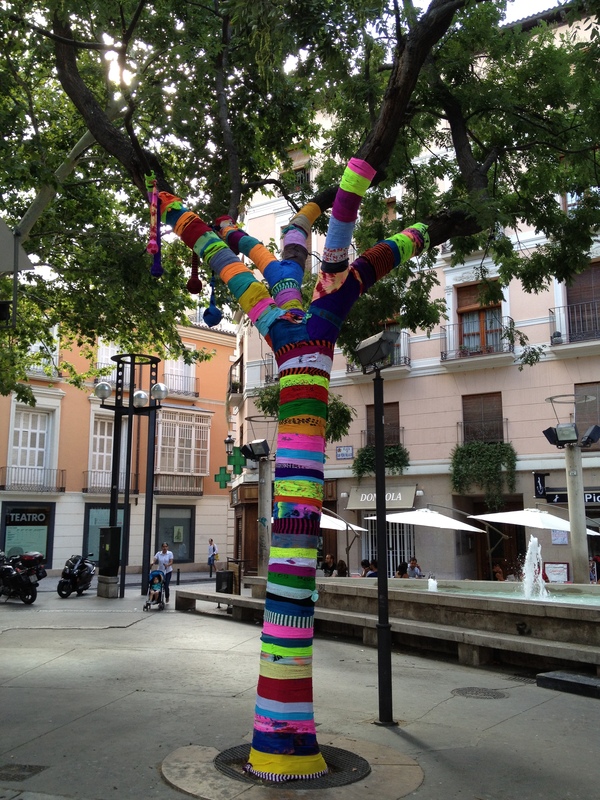 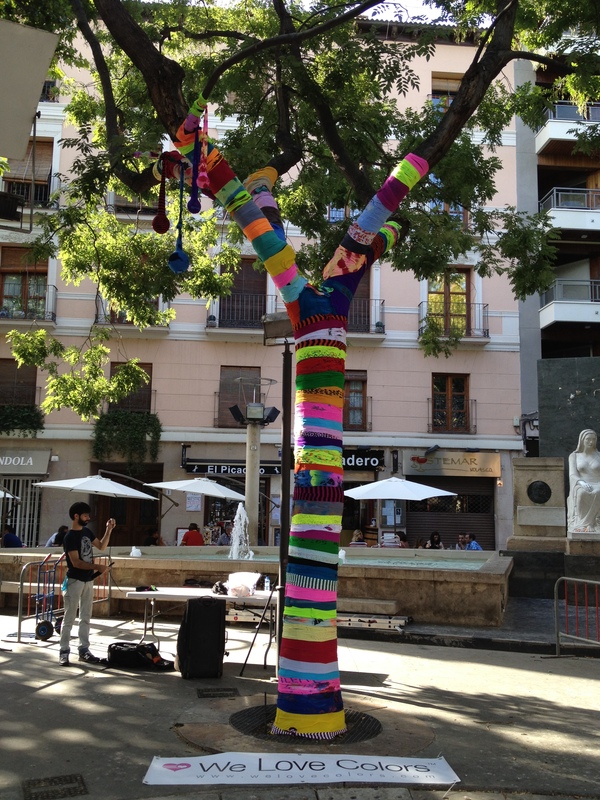 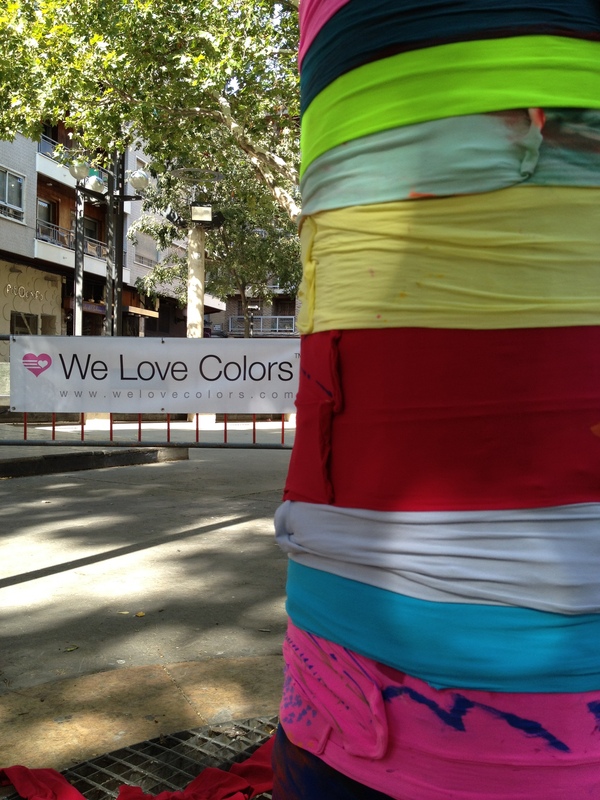 Painted tights installation on the most beautiful tree in San Pedro Nolasco square, Zaragoza.